Clementine does not enjoy turning anyone down, or turning them away, but she is only one person. Clementine added one helper in the beginning to help with events, and soon grew and needed many more helping hands. 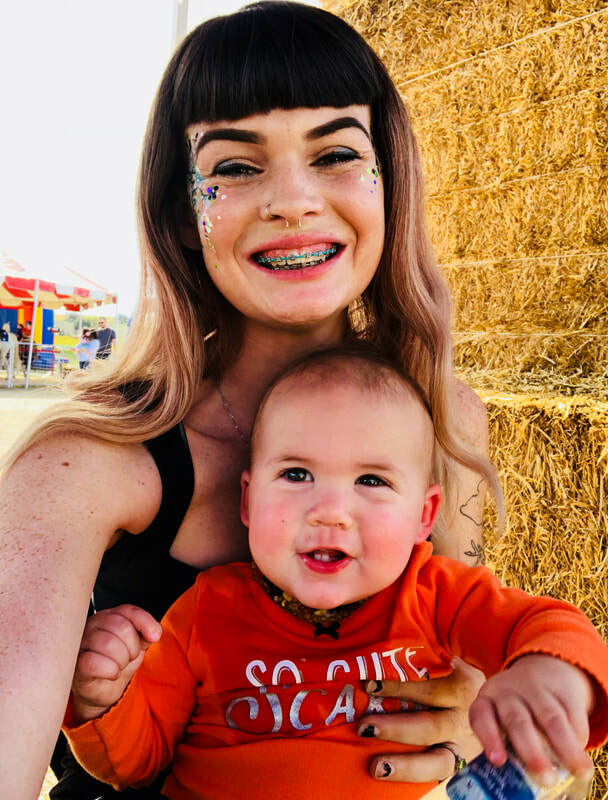 Clementine loves to make children smile and can only be in one place at a time, so she began training others to do her designs and live by her high standards. 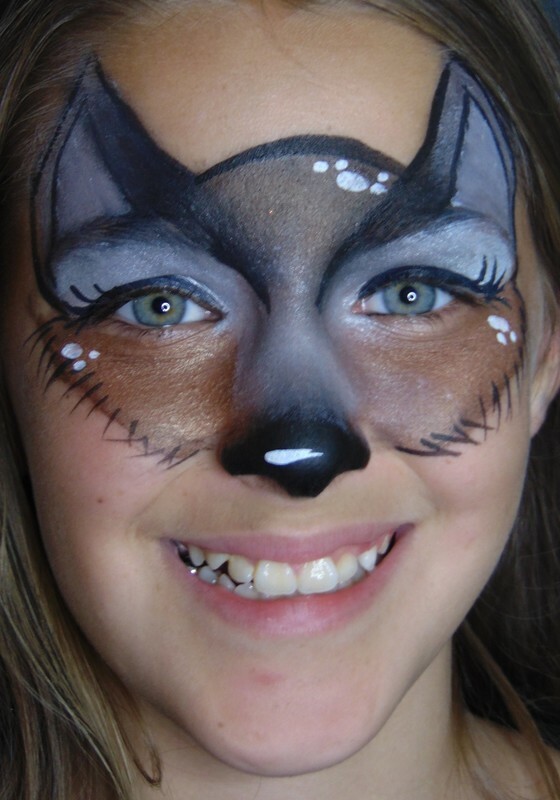 Every team member is required to attend many face paint practice sessions before heading out on to your event. Clementine trains all her artists and requires them to prove their reliability prior to even booking them a party. 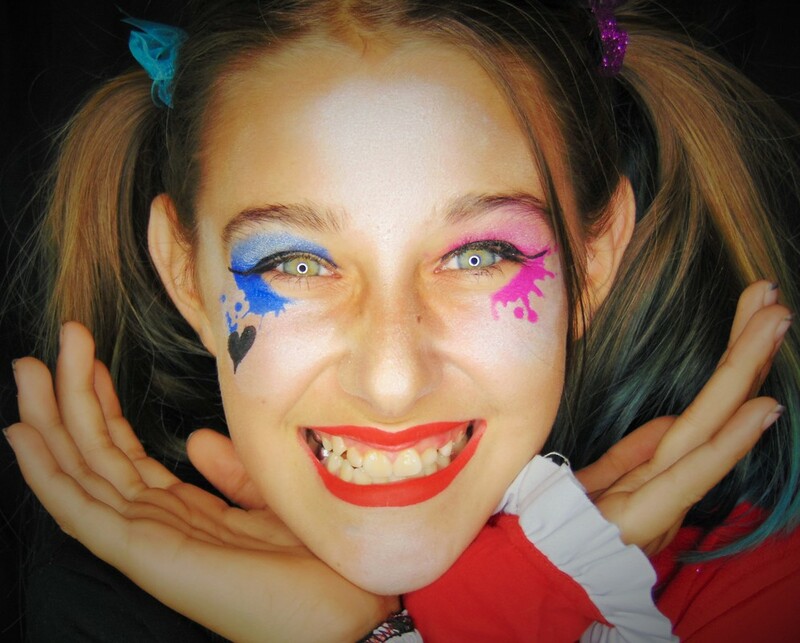 Many other "stand alone" face painters are self taught and take time to practice at your party or events, they are not as privileged to have the opportunity to have the guidance Clementine provides. Clementine loves each one of her artists and believes in the power of many. With many artists on our team, we can say yes to more parties, bringing more smiles to many more children in one day. Clementine was born in Alaska raised by a very creative mother, who always had some home made craft to keep her three children busy. Clementine grew up spending time with an Alaskan oil paint artist who took Clementine under her wing and showed her stroke by stroke how to paint amazing oil paintings at the age of 5! Her love for painting and art continued to grow through out her life. She designed band/show fliers while she attended junior high and high school. Clementine then attended an Art High School, while taking figure drawing and art history classes at the local junior college on the weekends and nights. After high school Clementine took many more art and child development classes at the junior college. 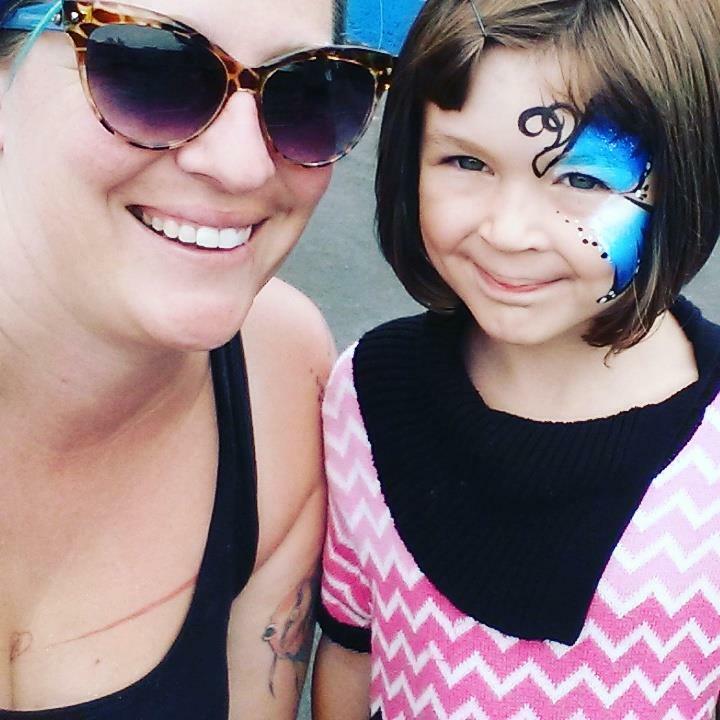 While working at a daycare, where she worked for 13 years, Clementine started to work on the weekends for a friends face painting business. 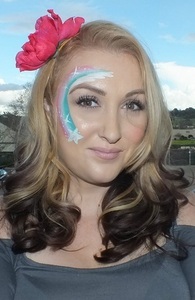 And here she is now, proud mother of 3 children and an exceptional face paint artist. There is not much she will not try and not succeed. 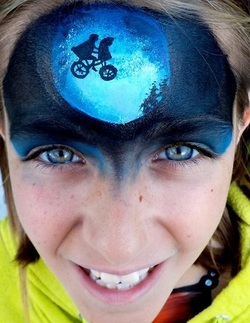 Her personal motto is "where there is a will, there is a way" Bringing that attitude to face painting she loves custom challenges when a client requests. 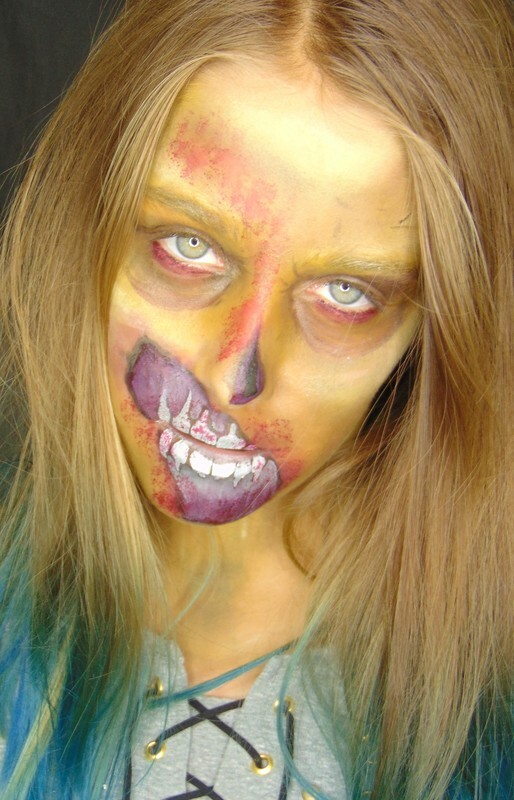 Clementine has been face painting for 5 years now. 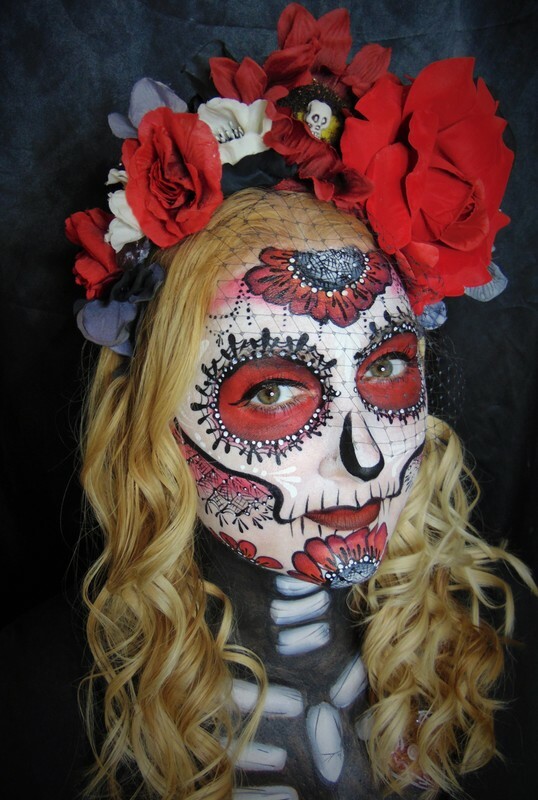 Her amazing work has won her first place in a west coast face and body painting contest. 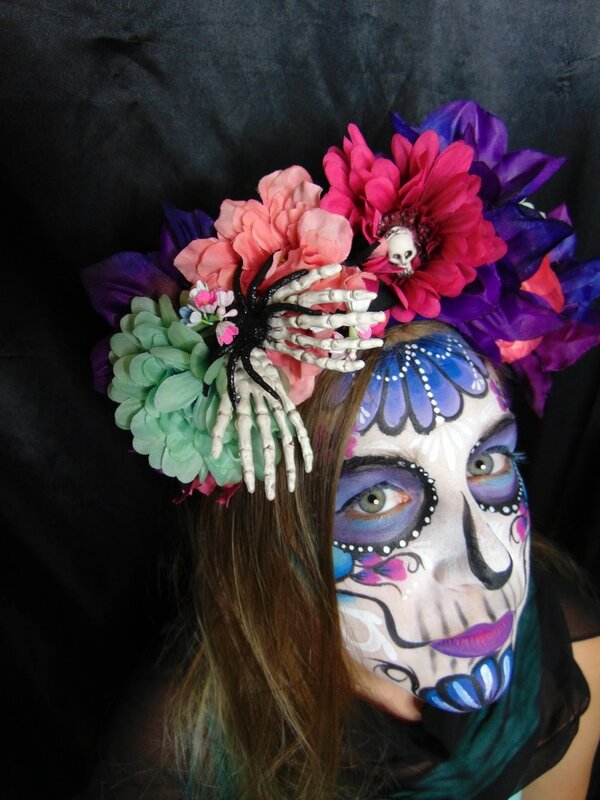 Her work can be seen all over the bay area, and everyone exclaims, "That is the BEST face painting I think I have ever seen! You truly are an AMAZING artist!" Clementine has painted for big company picnics and holiday parties for Agilent, Kaiser Permanente, River Rock Casino, Girl and The Fig, and many more, bike races, Sonoma County school's art walk fundraisers, Sonoma winery and hotel's employee appreciation days, holiday parades in San Fransisco, street fairs such as The Salono Stroll in Berkley, Rivertown Revival of Petaluma, Hand car Regatta of Santa Rosa, and has painted at Petaluma's Butter and Eggs for 7 years straight now, Clementine is the resident face paint artist at the Santa Rosa Pumpkin Patch on Stony Point Road as well as Marin County Mart Farmer's market resident face painter every Saturday year round, and she has wowed so many children and parents at hundreds of birthday parties all over the North Bay area. With a resume that is never ending, not only is she an Amazing artist, she is kind and flexible, professional, and well-practiced, she loves her job and it shows in her endless amounts of smiles she hands out for free all day, every day she works! Clementine met Elizabeth at her daughter's school's walk a thon. Elizabeth has a natural knack for making children happy and painted to perfection. Elizabeth is a mother of 2 adorable boys, one of which attends school with Jovie The Beautiful. 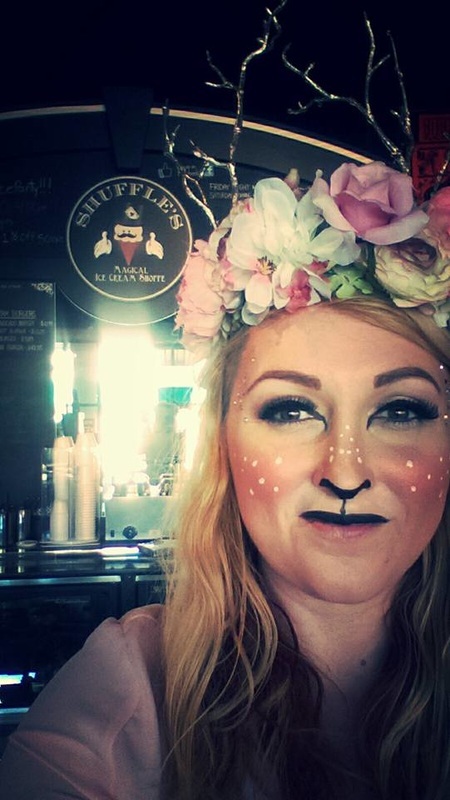 Elizabeth is Clementine's senior artist and has begun helping with office management, as the busy face painting season grows nearer. Being happy, patient and flexible, Elizabeth has proven to be one of Clementine's most valued artists. 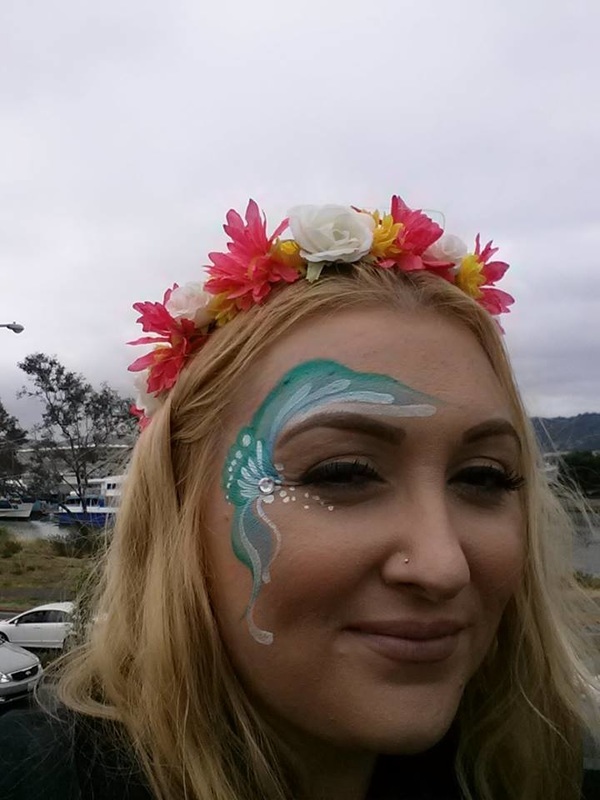 Keep an eye out for her very artistic, creative and excellent face paint artwork! 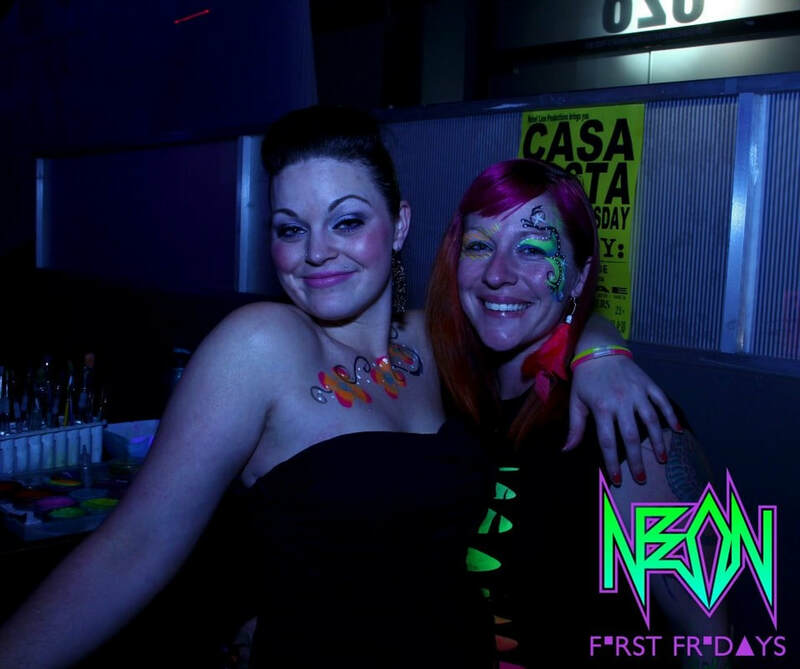 We are very lucky to have such a cheerful enthusiastic artist join our team! Stephanie the star was raised between Alaska and California for most of her life, learning to stay busy in the cold winters. Stephanie dipped her hand in any type of crafts she could with her family. Stephanie moved back down to California to raise her 3 daughters and started the SRJC for culinary arts. 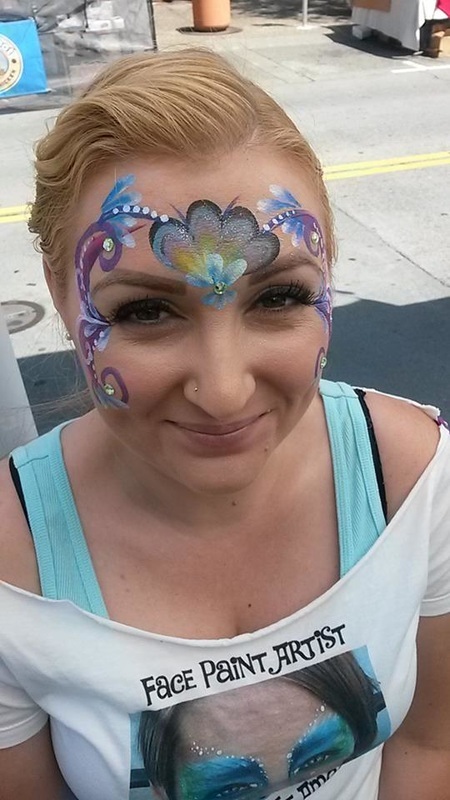 Not satisfied with just one career she started getting back into her crafty side by getting into face painting.She now joins our team with some previous practice of her own, and we are all excited to have her previous knowledge, with not only face painting but a wide variety of arts. My name is Glorielsa but I go by Gloria too. I am 43 years old, I'm a mom to three teens, two dogs and two cats. I love crafting, cooking, baking, knitting, making jewelry and more. I come from a very musical family, therefore my kids are all into music, my son plays the viola for the SRJC orchestra, my middle child sings in the choir at Analy high and my youngest one plays the piano. I work part time at three elder care facilities as a activities director. On my free time I enjoy hiking, camping and going to the beach with my kids and my husband. I have always been very creative and I look forward on sharing and learning from this wonderful team. Gloria also speaks Spanish, in case you were looking to hire her for your Spanish speaking party. Jovie is Clementine's daughter. She is currently attending art school and will eventually follow in the family footsteps and help out with the business. Now she is able to be our amazing model. We love her beautiful eyes and wonderful smile. The menu pictures that feature designs on her face tend to be the most popular. Jovie helped win Clementine the first place prize to an "Americana" face paint contest through West Coast Face and Body Painting, by being such an amazing model. 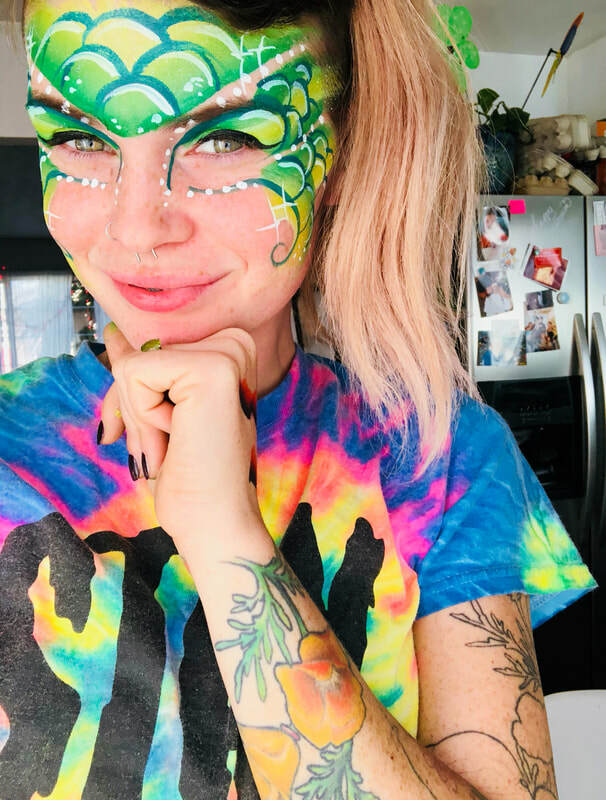 Stay tuned, we have a couple new artists joining our team, and getting trained up to be able to provide your party or event with the most Amazing face painting in Northern California! ​Brittnie brings a "can do" attitude to the team and such sweet smiles, we are all very lucky to have her. Jolene comes to us from a background in working with people. She is so sweet and loves to chat with everyone, making her your friend automatically. Her smile makes everyone feel happy to get painted by her. We hope to have her out more this summer, as she loves the sunshine! Vanessa the Blushing is the daughter of Stephanie The Star. Just like her mother she is incredibly talented and so amazingly sweet. 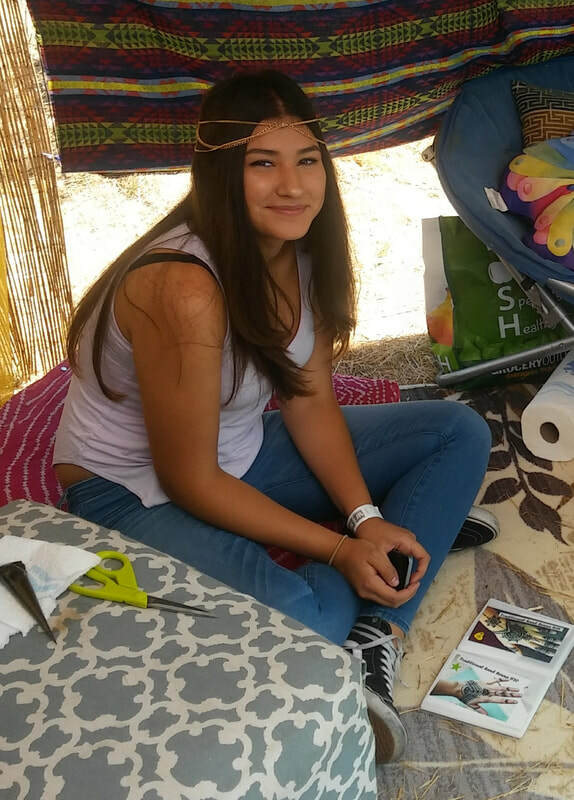 Vanessa has learned lots of crafts from being around her crafty mom. Vanessa is in her final year in high school and will be getting ready for college to study to become a traveling nurse. 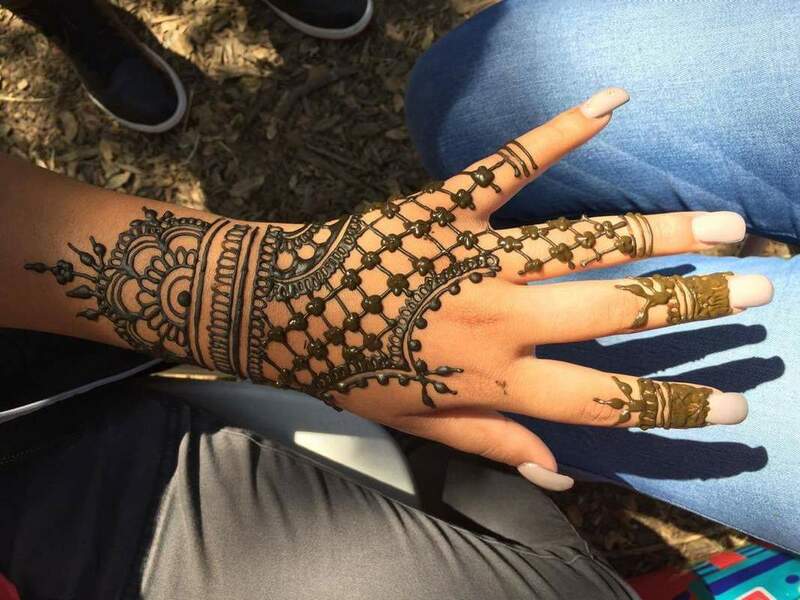 Vanessa is self taught in the Henna designs, and has been working for Clementine for years, her abilities are remarkable, and her personality admirable. 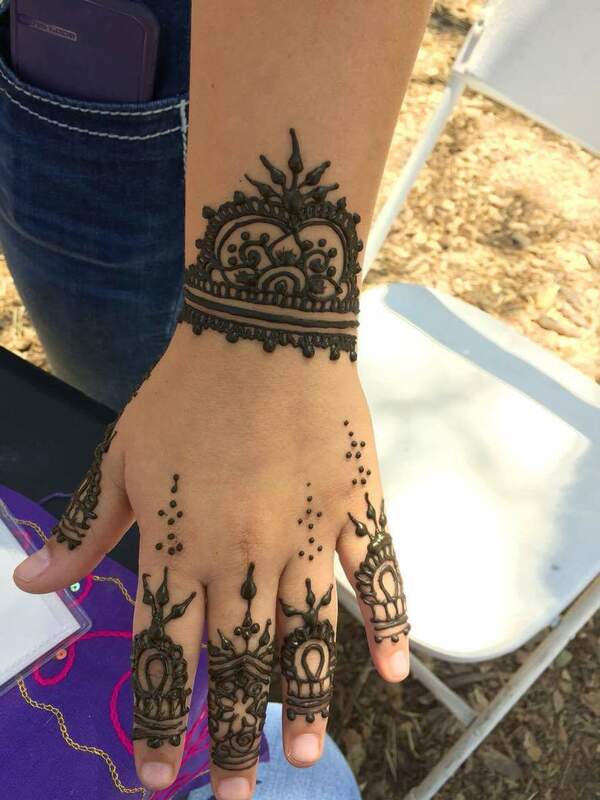 You can find her at public festivals and hire her to offer Henna at your parties. Emily The Enchanted has been creative since childhood. Growing up within a big artistic family of visual artists, architects, crafters, writers and teachers, she chose to become an artist professionally. She earned a Bachelors of Fine Art in Illustration from San Francisco's Academy of Art. After graduation, she worked as a muralist and calligrapher for many years. 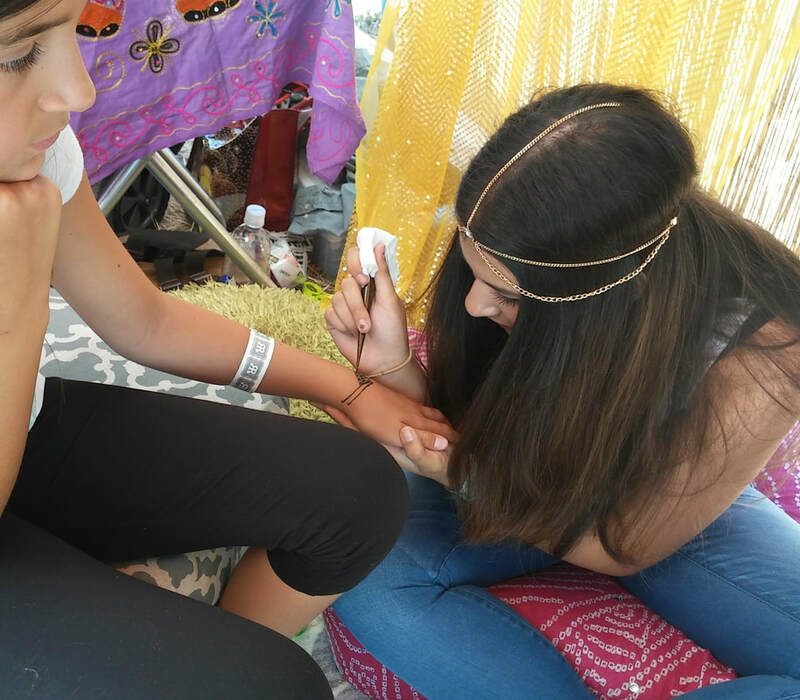 She began facepainting and doing henna 7 years ago, and hasn't looked back! 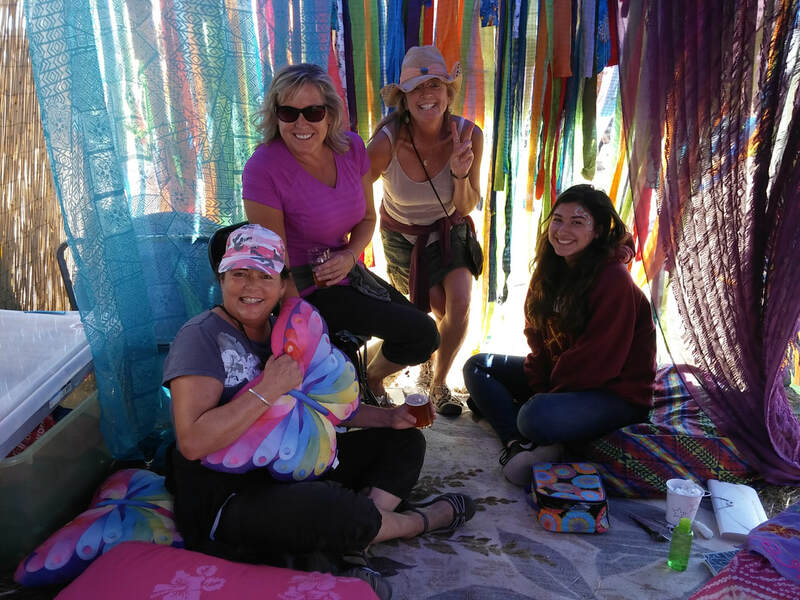 Emily moved to Sonoma County last year, and was thrilled to meet Clementine and join the Amazing Artists. Amber is a native Bay Area artist who has worked for many years in cartoon animation and illustration. 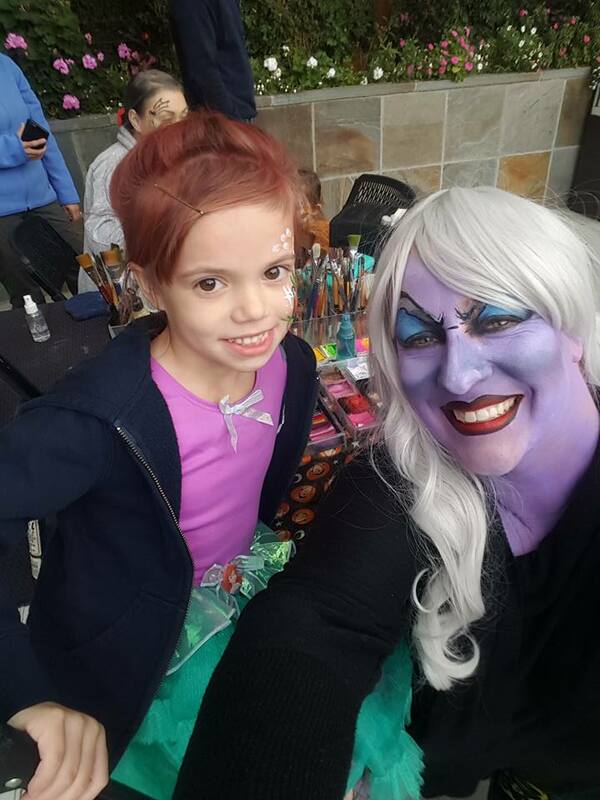 She enjoys working with little kids and adults alike; and especially enjoys collaborating on special design requests for guests at events and parties. My name is Jin and I like to smile! Jin has lived in Sonoma county since high school. 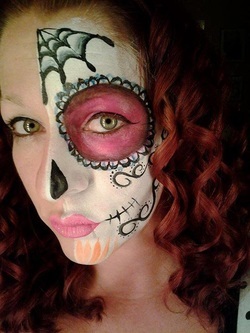 She is currently raising her family here, being a freelance illustrator, and painting faces on the weekends. She is passionate about midwifery, her kiddos, and painting. Her greatest hope is that she can maintain a life balanced between creating art, loving people, and laughing as much as possible.